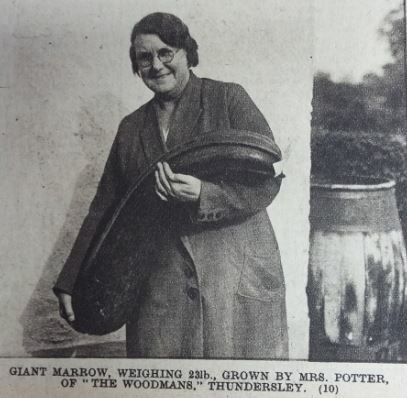 The information in the family tree with this article was provided by Peter and Susan Lewsey at the November 2013 Archive slideshow event. 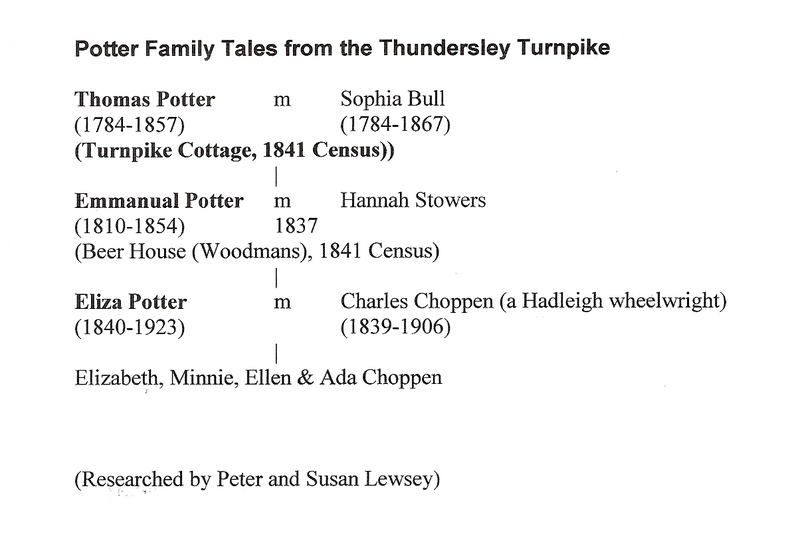 In 1841, Peter’s great, great, great grandparents, Thomas and Sophia Potter, occupied the Turnpike cottage at the corner of Daws Heath Road and Rayleigh Road, Thundersley (and their son, Emmanual, the nearby beer house, now the Woodmans). I have found the above picture in an old Southend Pictorial. Who is this Mrs Potter and how does she relate to the family tree? All these Potters and not one of them a Harry?